Marking Messages Messages are marked in a manner similar to documents. They are marked with the highest overall classification level of the information contained in the message. 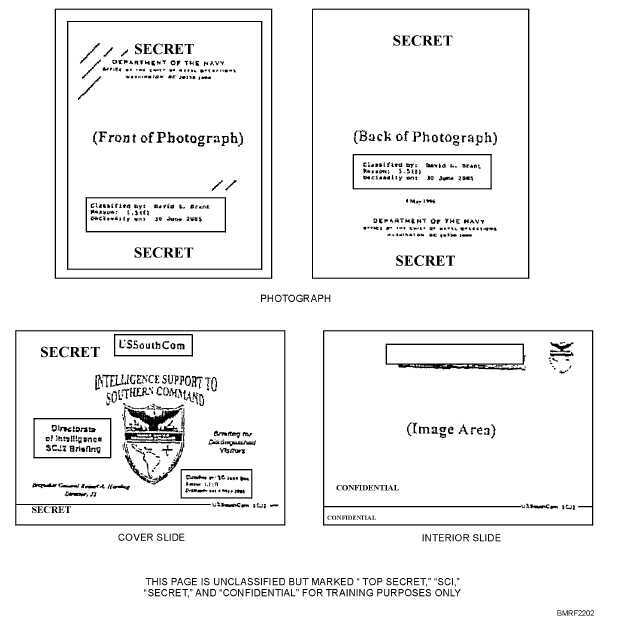 Classified messages are marked to indicate the following: The nature of the classificationoriginal or derivative The source of classification Downgrading instructions (if applicable) Declassification instructions (if applicable) 22-7 Student Notes: Figure 22-2.Photographs, slides, and transparencies.